Pursuit of Poppy: Double Trouble! ...come on Poppy, follow me! Busted! 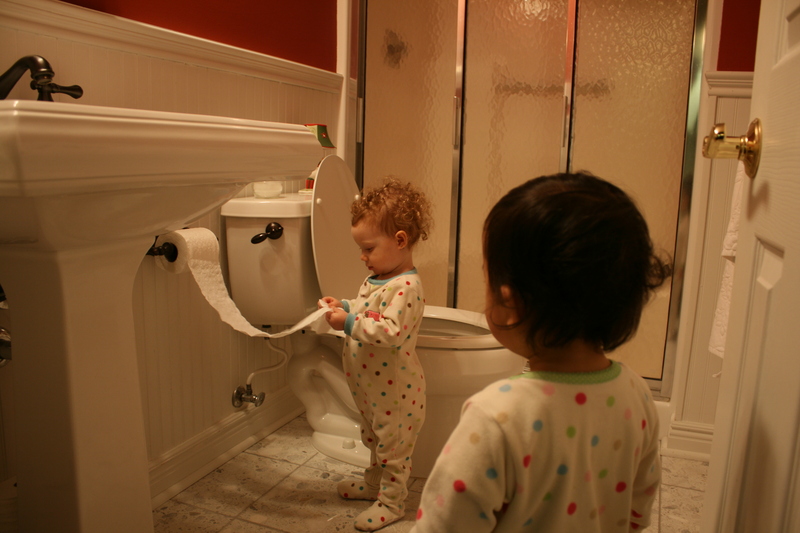 Teaching Poppy how to toilet-paper the house! I love the pictures!!! We had a great time! Now Claire has been making us play Ring Around The Rosie over and over and over......Also, every person she sees in a picture is now "Poppy"! We had a great time, can't wait to see you guys again!!!!!! 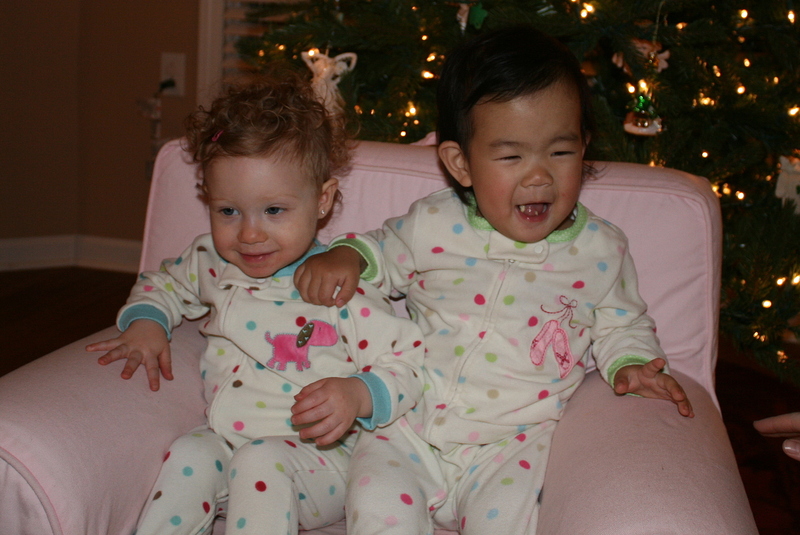 Oh my gosh they look so adorable in their matching pj's! 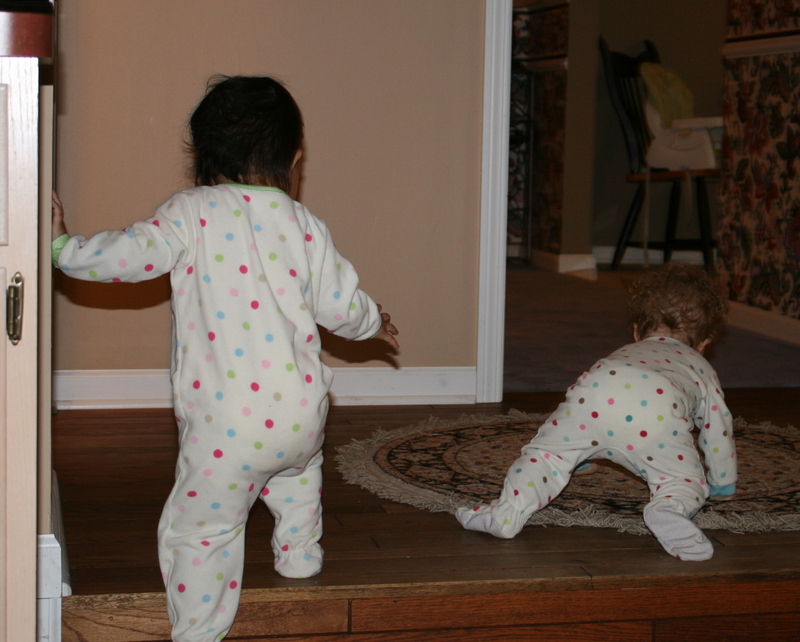 Too cute toddling around together. OMG...how cute. 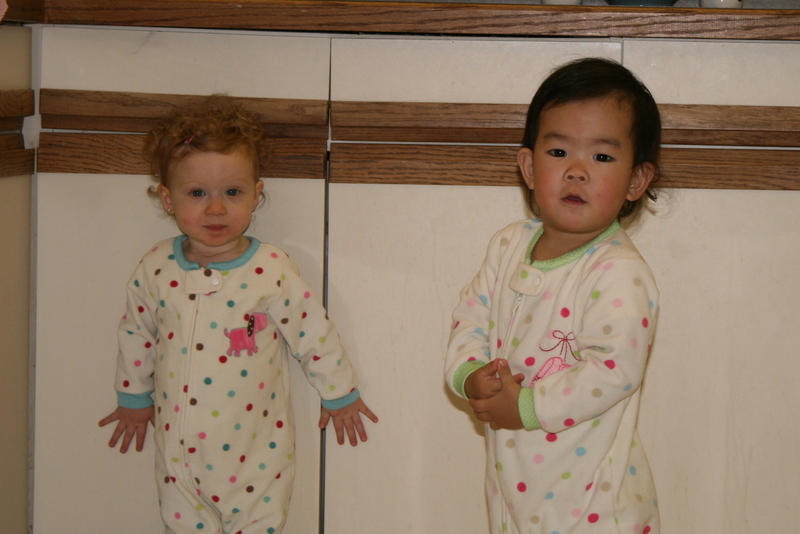 Poppy and Claire are just 2 peas in a pod. Too cute for words! 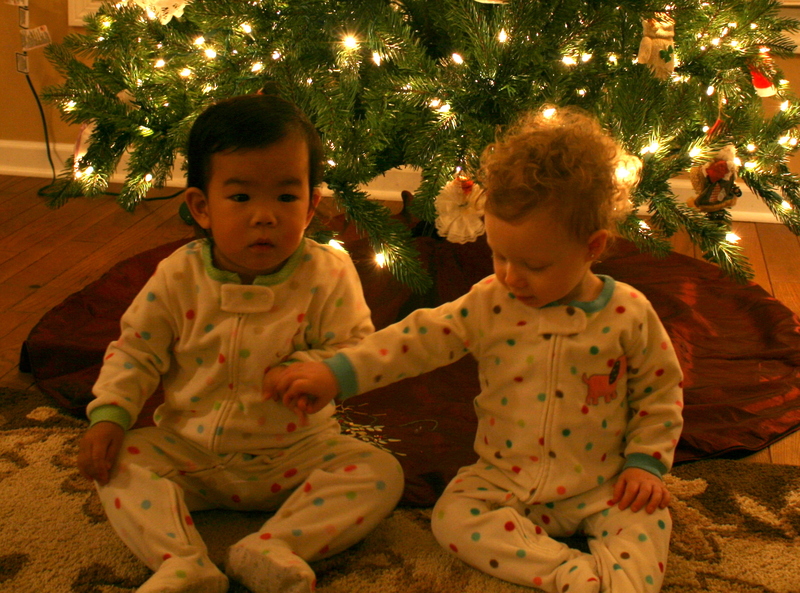 They look so cute sitting in front of the Christmas tree. 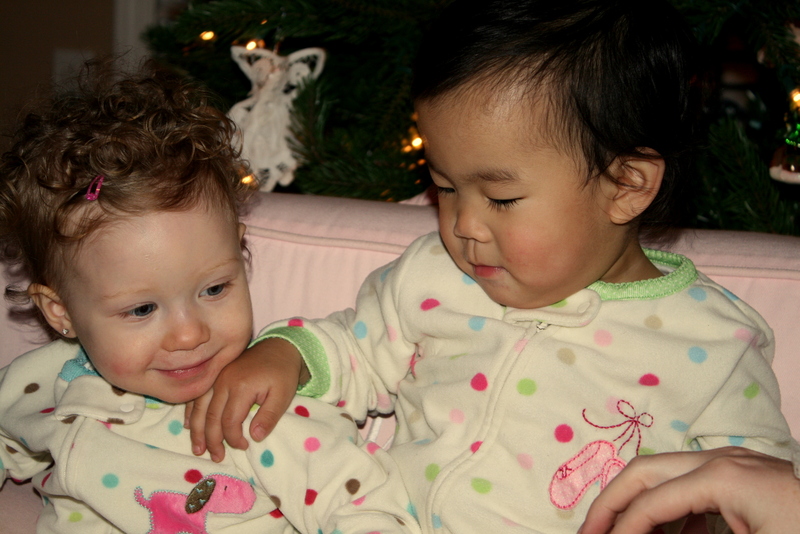 OK...OK...so all the times I had to listen to the two of you talk about how your daughters are going to be best friends (even before they were here with us) were worth it. Tres Sweet!!!! !